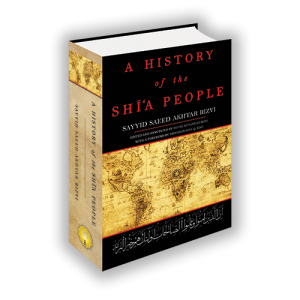 Click here to view, preview, and order our latest book, A History of the Shia People, written by Sayyid Saeed Akhtar Rizvi. Spanning the 7th Century until today, this book takes a global, yet detailed look at the Shi’a community development, influences, and social, religious, and political evolution. Established as a not-for-profit organization in Canada, Al-Ma’arif Foundation aims for the betterment of individuals, communities, and society as a whole, practicing Shia values through charitable initiatives, publications, education, and much more. Al-Ma’arif Publications is always adding new titles! We are regularly releasing new works as well as editing & updating previous works, so be sure to check back for more, or subscribe to our mailing list at the bottom of the page. View our latest publications below.